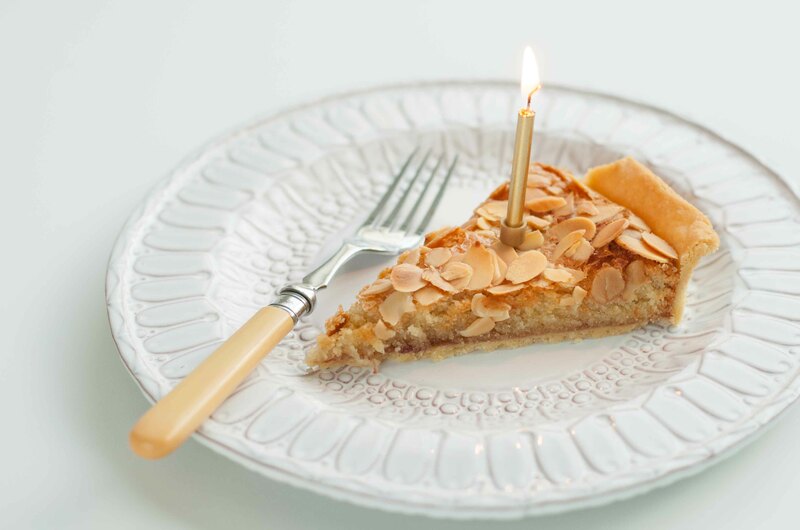 Despite its seeming simplicity, the flavours are just perfect and it can definitely compete with last year’s birthday special, even though that one was a bit of a showstopper. 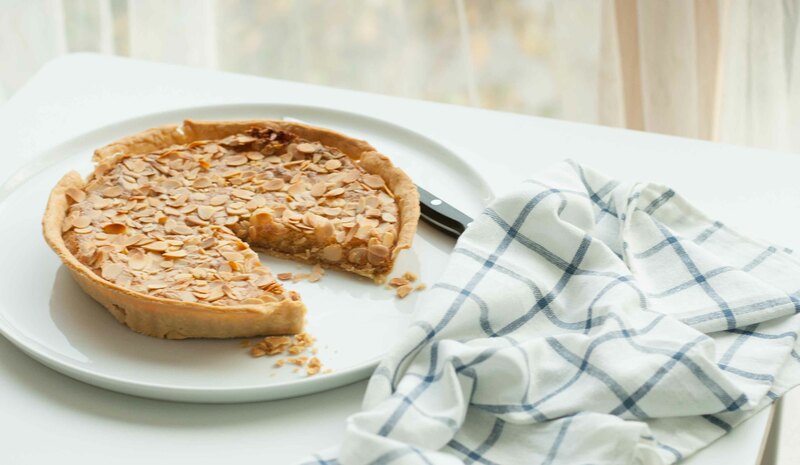 I thought about photoshopping in the bit of pastry that fell of in the picture above, but not only do I have no clue how to do that, but I thought it perfectly illustrated the crumbliness of this pastry and who doesn’t want a crumbly bit of pastry? 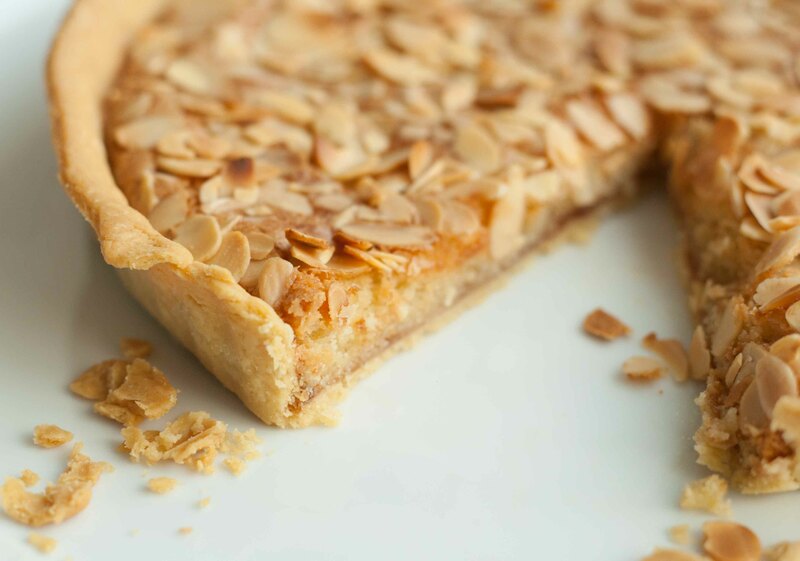 For those who’ve never tried bakewell tart, please try it and let me know what you think! Start by making the pastry. You can either do this by hand or in a food processor. If making it by hand, rub together the flour and butter with your fingertips until they look like breadcrumbs. Add the water a little at a time until you have formed a soft dough. On a floured surface roll out the dough and line an 8 inch round tart tin with it. (I used a 9 inch one and ended up with extremely thin pastry and filling, don’t make my mistake!) Pop the tin into the fridge for 30 mins and in the meantime preheat the oven to 200C / 180C Fan / 400F. Line the pastry case with baking paper and fill it with baking beans or rice, then bake it for 15 minutes. Next remove the beans/rice and paper and pop it back into the oven for a further 5 mins. Spread the pastry with the raspberry jam in a nice thin layer. Next make the frangipane. Melt the butter in a saucepan, remove from the heat and stir in the sugar, followed by the almonds, egg and almond extract. 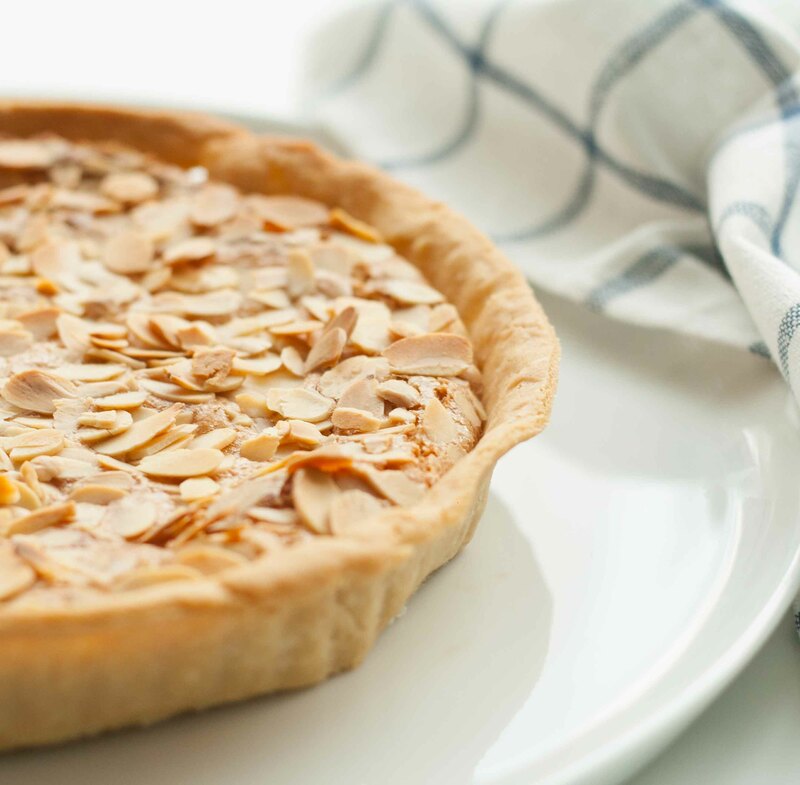 Pour the frangipane over the pastry, smooth it out to the edges and then sprinkle on the flaked almonds. Bake for 35 mins, popping some tin foil over the tart if it looks like it’s browning too much. Serve warm or cold, either way it’s just gorgeous!